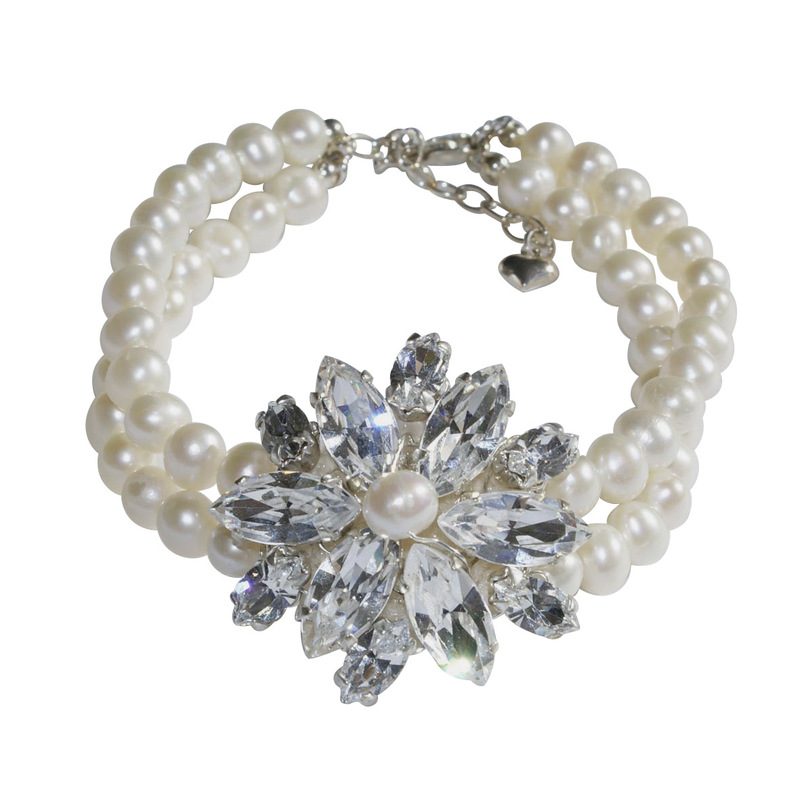 The diamante detailing is mounted on a double strand of freshwater pearls. This bracelet is 6.5inches with a 2inch extender. As with all Tantrums and Tiaras products, the Julie bracelet is handmade to order with love at our Bicester Studio using components exclusively sourced from British suppliers.